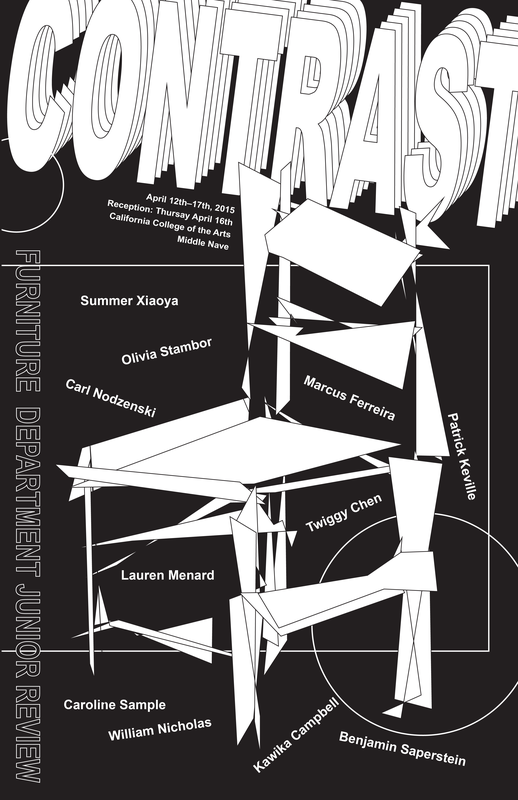 In the Spring of 2015 I designed the Junior Review poster for CCA's furniture department. 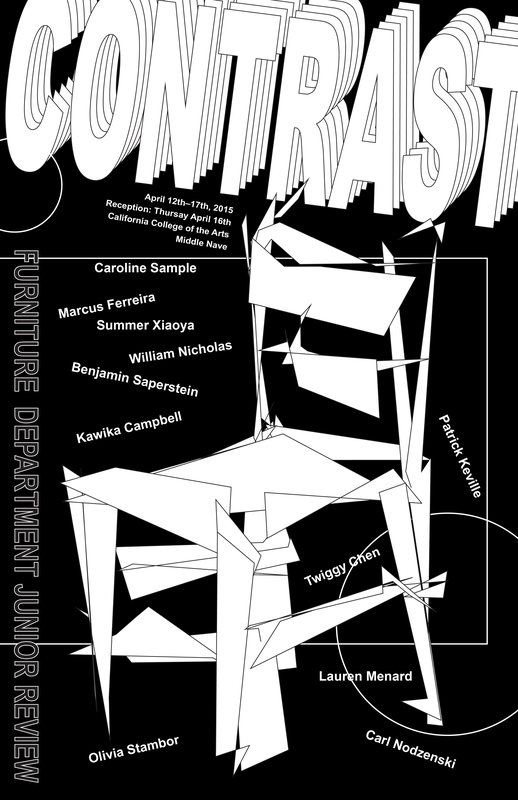 The poster was inspired by the idea that junior year typically marks the point in one's undergrad college education where they have sufficient technical knowledge to begin to shift focus to exploring more conceptually and formally experimental directions. There was only one version of the grey poster. 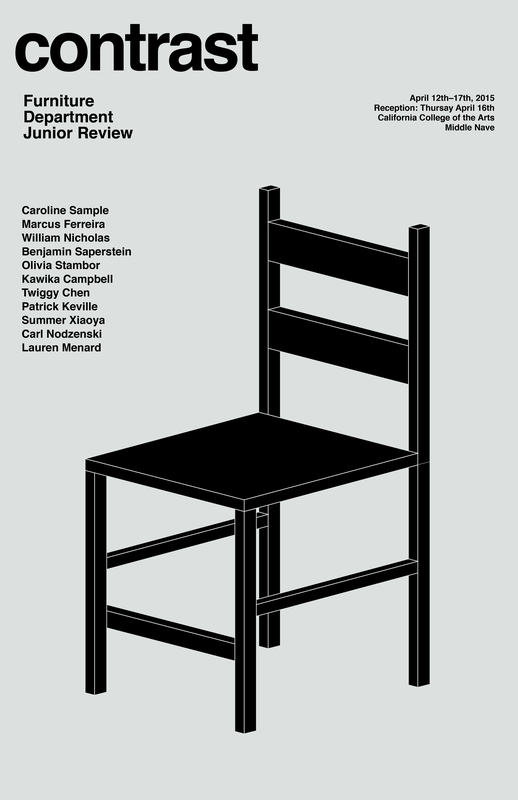 The black poster on the other hand was generated using scripting and Illustrator, so every single black poster was different, with a different distorted chair and placement of the names.